Take your décor up a notch with a print. 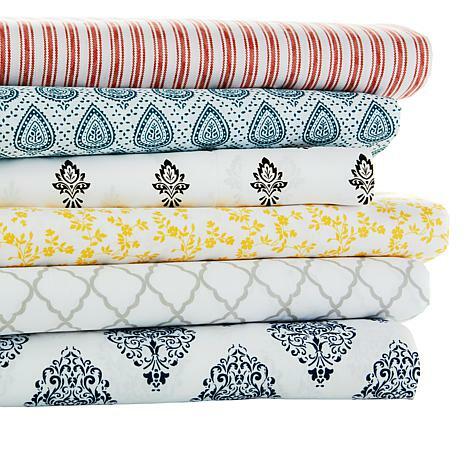 Mix and match prints for a chic boho look or coordinate your linens to your bedding. Either way, your place is gonna look fabulous. We love them. So comfy and pretty. 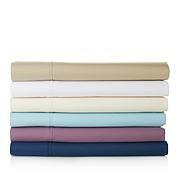 I purchased the King size in teal and it goes perfectly with my bedding. 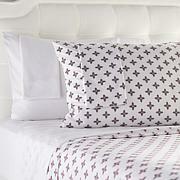 I was initially disapointed as it did not feel like other microfiber sheets I have purchased from Concierge. However, for the price of $29.99 for a King that fits perfectly, the design and the fact that they washed up nicely, I gave it a 4 star. I would buy it again and I love most all of my concierge items. Received these sheets Saturday. Its really poor quality. The elastic is so loose the sheets are loose. Doesn't fit snug on the mattress. One part of sheet is sewed together as if it got caught when sewing the seam for the elastic. Does not feel like microfiber at all. 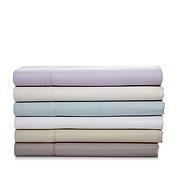 Just a regular low count cotton sheet. Sending back.